This little video popped up on my feeds. Was a nice little look behind the scenes of how the UX designers work, and how UX is a fundamentally important aspect of any application, sometimes as much so as the code behind it. If you aren’t using any form of source control in your project then stop right now and fix this. To get up and running with Git takes a whole 10 minutes to set up, and you will have your source code up in the cloud, should your computer blow up in the future (or you absent mindedly delete an important file). 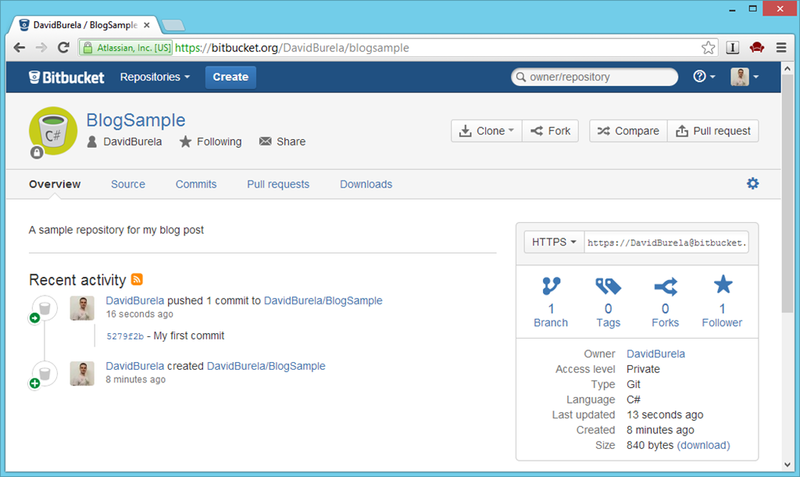 Last year I wrote a blog post explaining how you could get free online source control for your personal projects by using a combination of a free account at http://bitbucket.org/ and the GREAT Git client created by GitHub http://windows.github.com/. Things have progressed so it is time to write an update. Lets take a quick look at a matrix that explains the two servies. GitHub is quickly becoming the De facto place to host public open source projects. However if you are working on your own project you will probably want to keep your code private. This is where BitBucket shines, if you just want to a place to host all of your private repositories, then you can have unlimited private ones. The limitation of 5 collaborators is fine for private projects. Using Git from the command line can be hard. There are a lot of commands to learn while simultaneously trying to learn the workflow of Git works. While it is important long term to understand these commands, when getting started a GUI can help ease you into this new world. The GitHub for Windows application has great integrated support for BitBucket (as can be expected), however it can work as a generic Git client just fine. 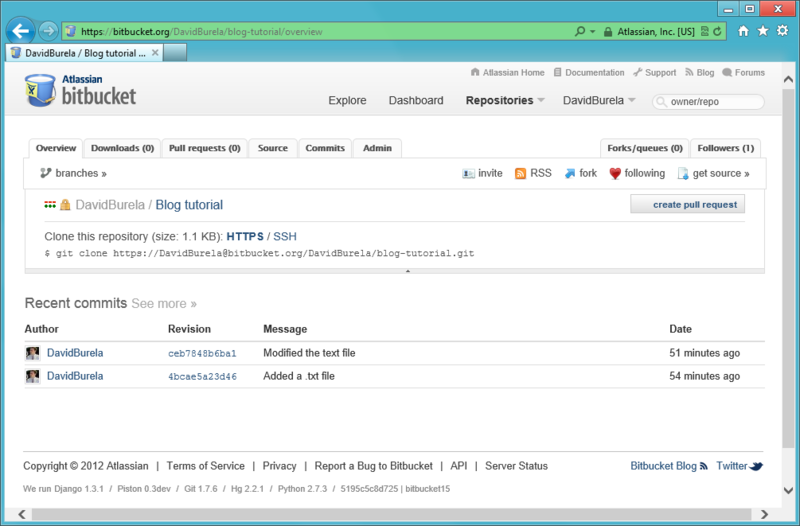 This will allow us to use it with BitBucket. Once you have created a repository, find a place where it displays the address of your new Git repository (e.g. under Get Started). 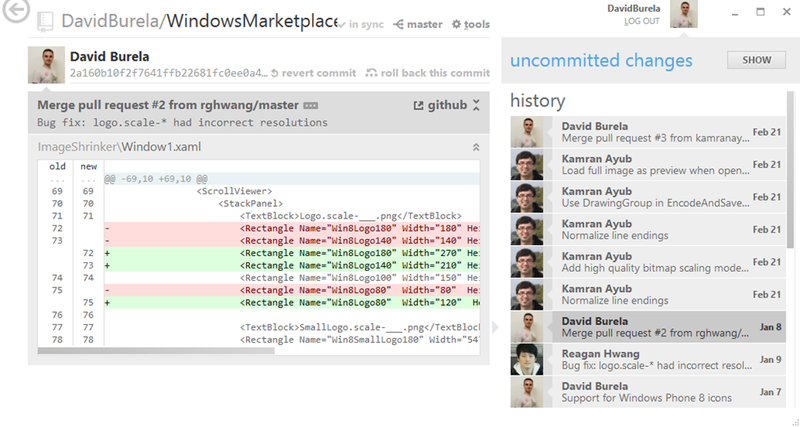 Then select the URL and then drag the text from your browser, and drop it into the GitHub for Windows app. It will automatically add the repository. 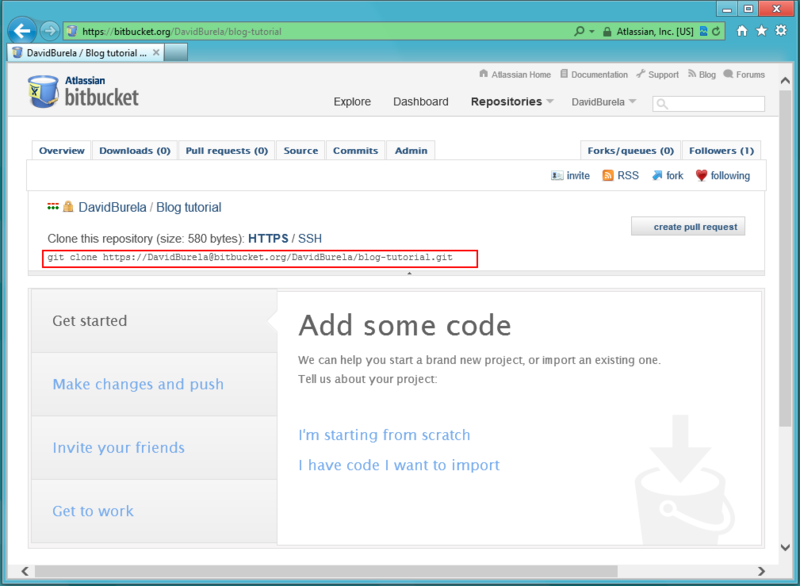 Now place your source code within that folder in Windows Explorer, commit your source code into the repository, then publish your new change set back up into Bitbucket. Done easy! I’ve had an iPad since they were first released, and my iPad 3 is my favourite tech device (Instapaper while sitting on the couch is the killer app). But it meant that i was able to pass my iPad 1 off to my girl friend. At this point, one of my friends suggested that I should purchase an Apple TV as they are so cheap! I purchased one, and suddenly my girlfriend was watching TV shows by herself on the TV via iPad + apple TV AirPlay. I’d shown her a number of times how she can try getting things working herself with a laptop, through PC cables, windows media centre machines, etc. But it wasn’t until she saw the air play icon within all of her iPad apps, that she started taking advantage of connecting devices to the TV. Which brings me to Windows 8. Microsoft keeps touting the “Play To” feature as a killer app for the OS, but unfortunately it just is not visible enough. I’m an avid user of Windows 8, but it took me active research on the internet to find out how to do the same thing with windows 8. The answer: you need to be in a Metro app that supports it, be in the correct place in the application, know that the app supports it, so that you know to go into the charms bar, select devices, select the correct device, etc. It is right there, built into the OS, and 3rd party developers know to use that standard icon. It is a design guideline that has helped make the feature so prominent through so many apps. but it definitely isn’t “Metro” enough to be embedded in UIs. 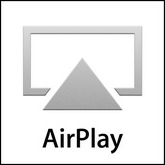 If Microsoft wants to become a serious contender in the tablet + home device market, then I suggest they start coming up with their own standard icon for developers to embed into their apps, similar to the AirPlay icon. 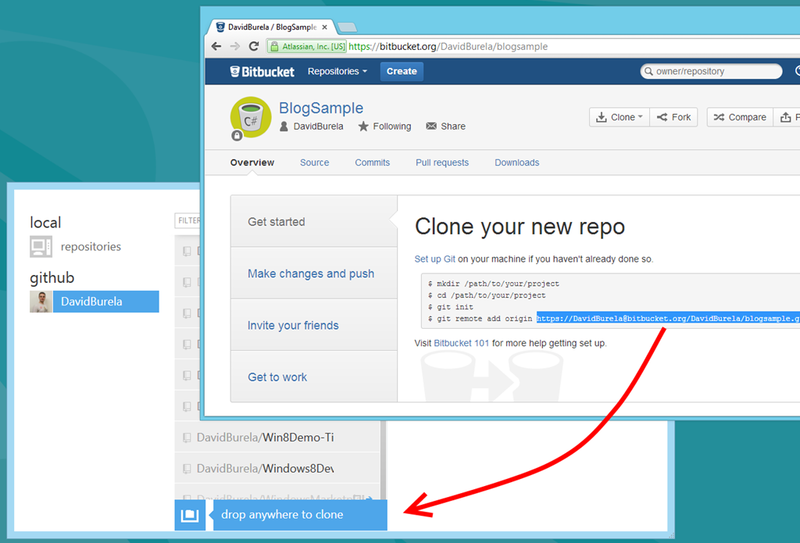 Overview: This blog post covers how you can use “GitHub for Windows” with BitBucket to give you free online source control storage for your projects. 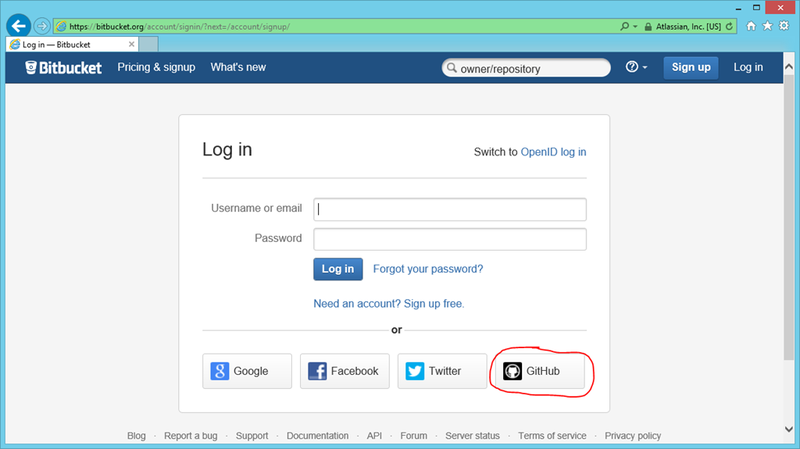 Phil Haack recently blogged on how you can use GitHub for Windows with git repositories hosted elsewhere, I thought I would provide a step by step guide on how to do this with Bitbucket. Many of us work on little side projects, it is what geeks do. But I am still surprised at the number of people that give me a blank look when I ask them what source control they are using on their personal projects. “We use TFS at work”, is the usual response, “but I don’t do anything with my own code. I just zip it up at now and then”. Lets change this. It couldn’t be easier to get started! Git is a great tool for doing source control locally, it supports change sets so that you can see how your code evolved over time. Unfortunately it can be difficult to get started with Git due to the number of command line tools and new concepts that need to be learnt. This is where GitHub for Windows comes in. It lets you easily create Git source code repositories and check your change sets in, via a nice visual interface. To compliment this, there are 2 main websites that allow you to synchronise your local Git repositories with online cloud storage, meaning that your source code is safe from your computer blowing up, and also allows you to work across multiple PCs (or team mates). 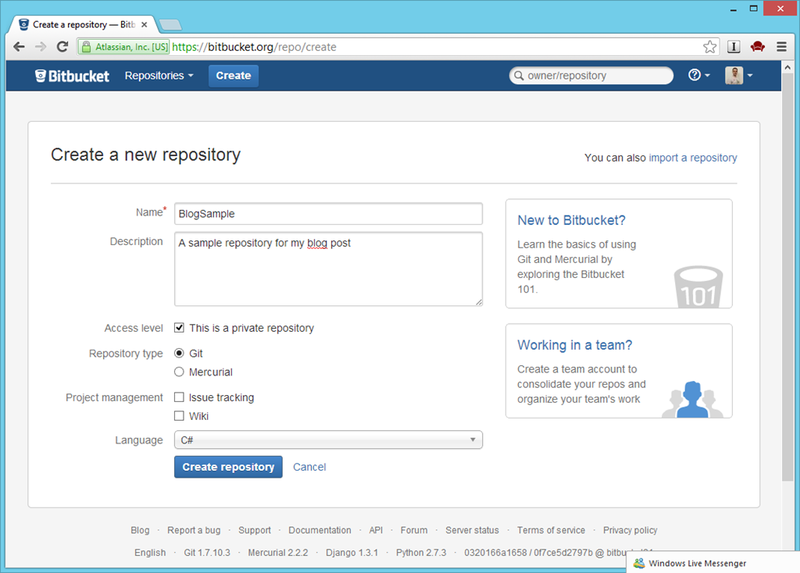 It is really easy to connect and start backing up your projects to Bitbucket. 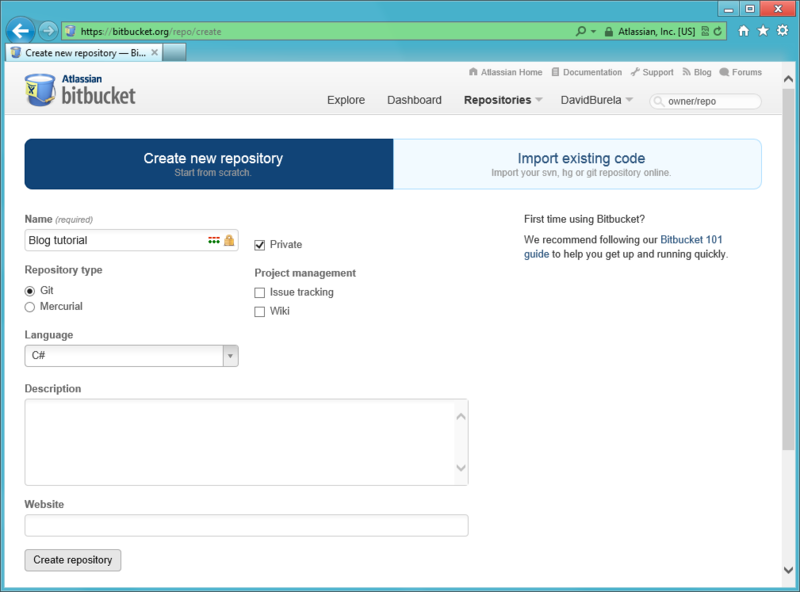 From Bitbucket, select Repositories –> Create new repository. From the start menu, open the Git Shell and paste in the git command that was copied in the previous step. This will create a new folder, create a new git repository inside that folder, and link that repository with the online repository on Bitbucket.org. This means you’ll be able to keep the 2 in sync easily. To let GitHub for Windows know about the repository, simply drag the folder from windows explorer onto the application window. This will allow you to commit change sets and synchronise with the online repository. Start adding files to the folder (or create a new Visual Studio project inside that folder), then commit change sets periodically. Once you have committed a number of change sets to your local git source repository, push the change sets up to your Bitbucket account by clicking the publish button. 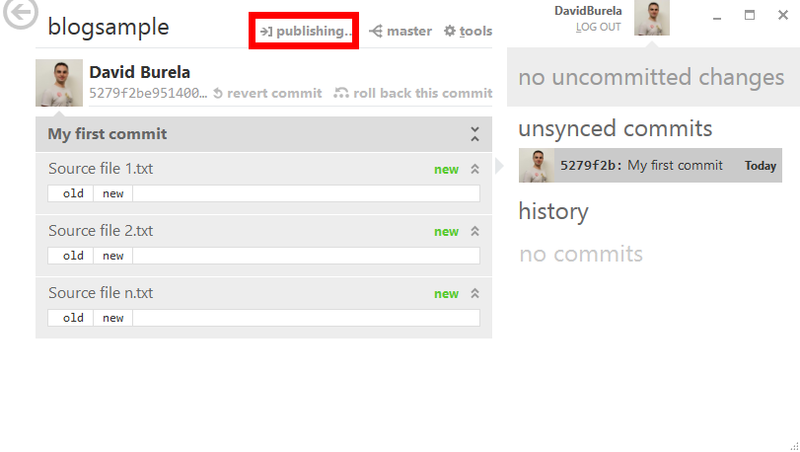 If you browse to your repositories home page, you will see all of the change sets synchronised. To retrieve the source code from another machine, simply repeat the first few steps to install GitHub for Windows, open a Git shell to run the initial command and drag the folder into the Github for windows app to start committing and publishing change sets. With free tools and online storage, there are NO reasons for you to not use some form of source control to keep your projects safe. Start using it on one of your projects now and save your code from a lost hard drive!